I grew up in the 80’s. 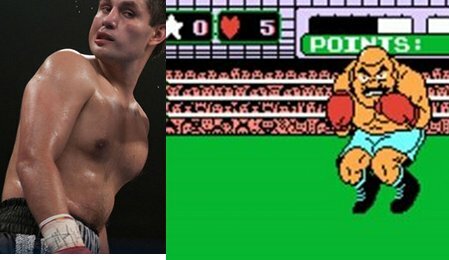 I spent way too much time playing Nintendo, with more time wasted on Mike Tyson’s Punch-Out than any other game. So when I settled in to watch The Fighter the other day, it was somewhat inevitable that the comparisons would flow freely inside my skull. 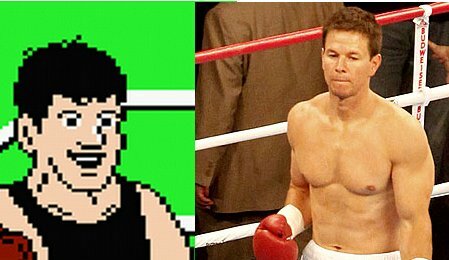 Which Punch-Out characters correspond to the various characters in The Fighter, and why? 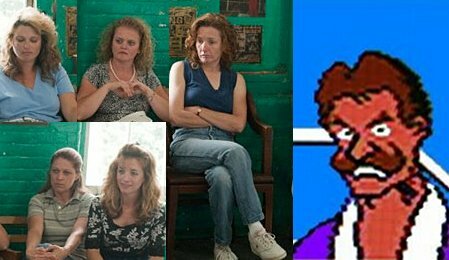 You’ll note that nobody from Punch-Out corresponds to Charlene Fleming/Amy Adams. 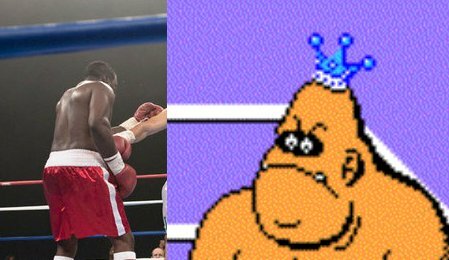 To be as succinct as I can be, there weren’t any Punch-Out characters that looked like that. 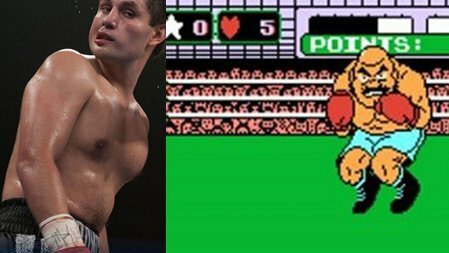 Little Mac was undersized, an Irish guy, and an underdog. For almost two full hours, David O. Russell might as well have put an arrow pointing at Micky Ward with some text floating around him that said “UNDERDOG!!!!”. The whole movie screams MICKY WARD WAS AN UNDERDOG! Even his own mom didn’t like him best. Fun Fact: Mark Wahlberg is one more good acting performance away from forcing me to never mention Marky Mark and the Funky Bunch ever again. Glass Joe was cartoonishly over the top. He was weak. He was annoying, and almost completely a waste of time. And he hid under a mop of blonde hair, all just like Alice Ward. Fun Fact: I hated this character in the movie. 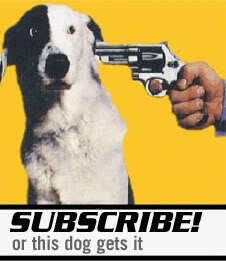 In fact, it may be one of my least favorite movie characters ever, but I’ll have to think about this a bit. Mike Tyson was a great boxer who possessed a catchy nickname, but ultimately fell on hard times, spent time in jail, and fought drug addiction. Dicky Eklund was a great boxer (well… good enough, anyway) who possessed a catchy nickname (The Pride of Lowell), but ultimately fell on hard times, spent time in jail, and fought drug addiction. Both have fought hard to win everyone back. Fun fact: Part of the reason that crack is popular is because it’s so cheap. According to WikiAnswers, a small crack rock would cost $10-20. Funner fact: You can actually find out how much crack costs on WikiAnswers. To quote Yakov Smirnoff, I LOVE THIS COUNTRY! If you’re wondering who Mungin is, he’s the fighter that Micky Ward had to take on when his originally scheduled opponent got the flu. He’s twenty pounds larger than Ward. Upon seeing his size, Ward says “That guy did not just get off the couch. 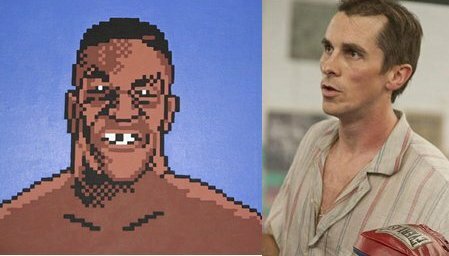 If he did, I’m gonna get a couch like that.” And thus, he is King Hippo– the type of boxer who wears XXXL trunks and is capable of pulverizing Little Mac, much like Mungin hammered Ward in the film. 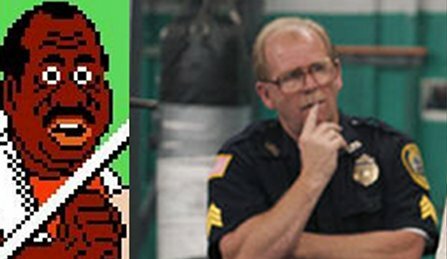 Doc Louis was Little Mac’s mentor and trainer. He was a little pudgy, middle-aged, wise, and possessed a mustache. And for the sake of argument, let’s pretend that he protected Little Mac from his crack-addicted brother. It wasn’t in the game but if it was, it’d make this equivalent almost perfect. Fun fact: Mickey O’Keefe actually played himself in the movie. Von Kaiser possessed a cartoonishly evil appearance. He was also pretty easy to beat up in a fight (just ask Amy Adams/Charlene Fleming). The Von Kaiser wikipedia page says that he carries “a facade hiding his true nature of cowardice, as he cries for his mother upon sustaining physical harm”. If that’s not those sisters, I don’t know what is. His screen time was kept to a minimum. If you wanted to go for the easy laughs, you LOVED when Von Kaiser was on the screen. But if you wanted to take care of the bigger fish to fry, you loathed him. Fun fact: Phyllis “Beaver” Eklund is portrayed in the film by Kate B. O’ Brien. You probably know her brother, Conan. By the time you reached Bald Bull, you’d never seen anything quite so intimidating. Little Mac was supposed to be Bald Bull’s launching pad, or “stepping stone” in the parlance of Charlene Fleming, to bigger and better things in the world of boxing. But a funny thing happened on the way to the forum. Both Little Mac and Micky Ward played it smart and exposed weaknesses en route to victory. Fun fact: A Funny Thing Happened on the Way to the Forum was Buster Keaton’s last film. A couple of those are a bit of a stretch (by necessity, admittedly) but a humorous and entertaining round-up. Superficial differences aside, Mike and Dicky are spot on! 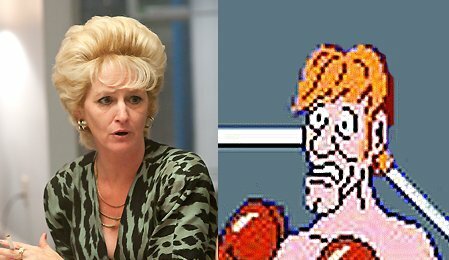 I couldn’t help but think that Alice Ward was a dead ringer for Glass Joe when I was watching that movie.